It wasn’t Namine’s first birthday party – that honor was given to her friend from HealthReach last year, I think – but it was her first time in a dance studio. I would never have wished such an adult moment on her, but she proved herself stronger than even I sometimes give her credit for. I have never been so proud, or so heartbroken. 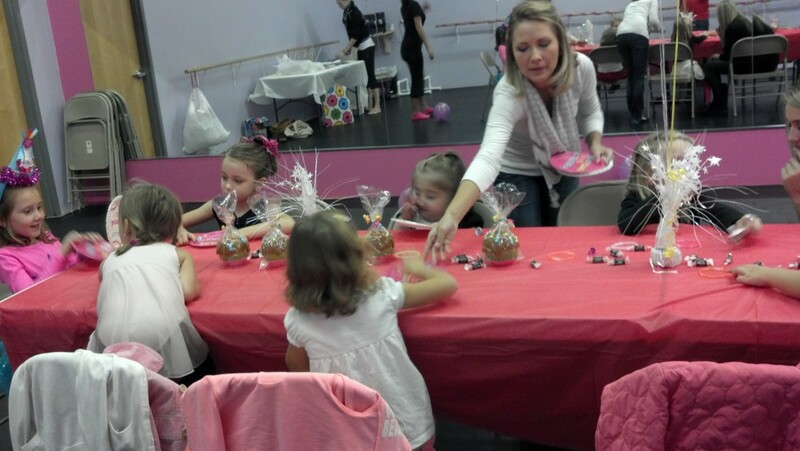 One of Namine’s classmates celebrated her fifth birthday. 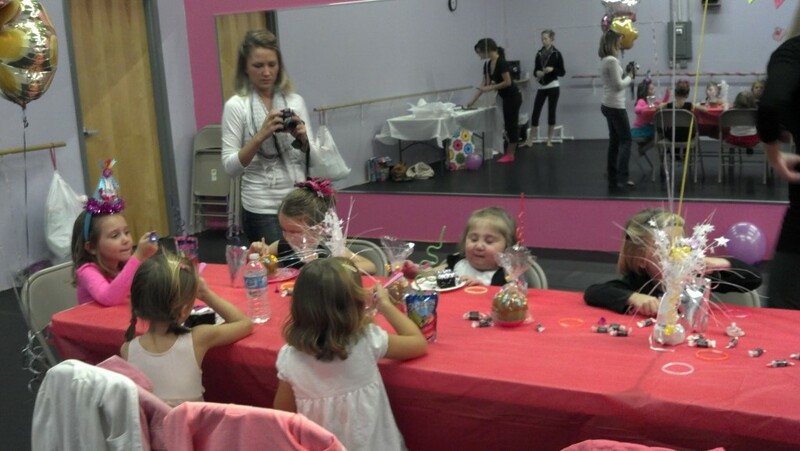 Her party was held at a dance studio yesterday, just down the road from where we live. She (or her mom) invited Namine, which prompted two equally strong reactions in me. But I have an equally strong reaction: she didn’t have to invite her, but she did. I trust that means something, and that it wasn’t merely a pity invite. Or worse: let’s invite her and hope she doesn’t come. Regardless of whatever the intentions may be – and I could guess all day – I asked Namine what she wanted to do. If she wanted to go, she could go. Whatever she wants to do, whoever she wants to be, she will always, always have my support. I have my own concerns, but I kept those between Jessica and myself. Whatever joy or heartbreak Namine will find, she will find it on her own. She will always have me to lean on, if she wants, but in the end it is her life, and hers alone. Instead of going out and buying a card, Jessica suggested that we make one instead. I showed Namine how to spell her friend’s name, as well as “Happy B-day” (with Namine’s large printed letters, “birthday” would never have fit), but she did all the work. It didn’t take her very long, either. It made me wonder once again what the heck her teacher is doing, if she truly believes – as she told us – that Namine can’t write yet. I did notice that she had a harder time with the lower-case letters than the upper-case ones, but Jessica tells me that’s fairly typical. The party itself, being at a dance studio, involved two dance teachers leading the kids (of whom there were about 8-10) in warm-up exercises and learning moves to dance to “Sparkle Something Something,” from a Barbie CD. Not really the kind of thing Namine’s into, but if there’s one thing that’s true about Namine, it’s that she loves a good beat. Anything dance-able, really. But I’m getting ahead of myself. Namine cannot yet stand by herself. She needs support, be it from an adult (hence why I stayed) or her walker (which she did ask me to bring in). Since most of the exercises are done standing up, I stood behind her, holding under arms so she could reach and stretch. Every once in a while, she would whisper to me, “Haha, I need a rest.” So I’d gently sit her down, and she would continue doing the arm stretches while sitting. When she’d gotten her wind back, she’d turn her head and whisper, “Haha, could you help me stand up?” Gladly. As long as Namine looked at herself in the mirror, she seemed happy. She knows her limitations, and it made her sad to see her friends kicking higher and moving in ways she could not. It took her longer to spin in a circle, but did it herself. “Don’t help me, Haha. I got it.” Mr. Mick, her physical therapist, would have been proud to see her. Spinning and side-stepping, kicking and jumping – she did wonderfully, and I told her so. I told her how well she was doing, how proud I was of her. And seeing her looking back at us in the mirror, with that big grin that just lights up the room? Worth every moment of sweat and hard work. Pretty soon into learning the dance routine, Namine decided she didn’t need me anymore. “Haha, could I have my walker now? You don’t need to hold me.” She impresses me more and more every day. There she was, standing all on her own, holding her balance with one hand. She held the other hand out, pointing at herself in the mirror just like her friends, bobbing her head back and forth with the music. She kicked in time with the music – barely getting her feet off the ground, campared to the other girls, but we know how hard even that is. The other girls spun their pirouettes easily, but Namine had to work. But work she did: she shifted her walker along with her, and I could see the determination in her eyes. She spun all the way around, and when she was done, she jumped in place like her friends – just a small hop, but she did it. After the dance routine was done – and we’re talking about over an hour of being on her feet, which is even more than a session at physical therapy – it was time for cake. “CAKE!” Yeah, do you think she was excited? You bet. After washing Namine’s hands, I sat her down at the table. I stayed as much out of the way as possible, since this was, after all, her time to be with her friends. Namine looked at her, raising one eyebrow. Like, What, am I a baby? “No, I’m good.” Yep, that’s Namine for you. I’d had a feeling this was coming. Namine is anything but unobservant, and I saw her glancing worriedly at her friends, dancing the way the teachers were. This has been happening more and more: Namine seeing that she is different, seeing that she can’t do what her friends can. 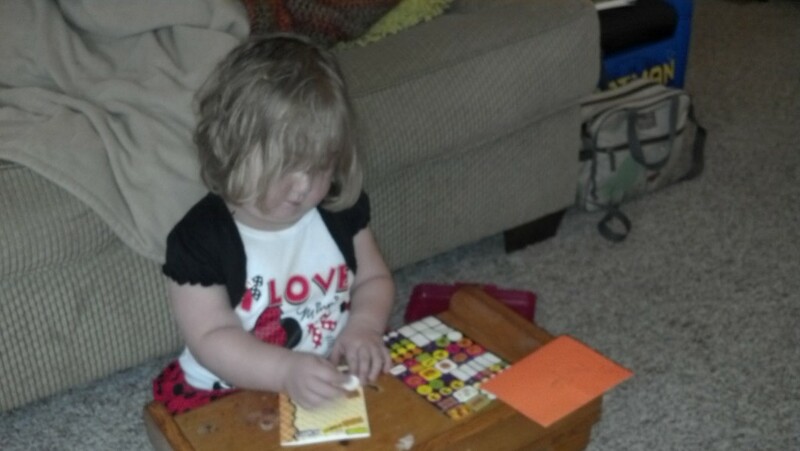 She is strong-willed, of that there is no doubt, but she’s also only four. That’s a lot of burden to put on the shoulders of one so young. My heart breaks for my daughter. But at the same time, I am more proud than I could possibly say. Whatever frustrations she has – and she does have them – she still had fun. Namine poured her heart into dancing at the party, and she had fun doing it. Ignoring what others might tell her is impossible, she meets her obstacles on her own terms. enjoyed the story, we are raising overcomers for sure….I mean they are. I love that gurls attitude! Amazing! God knew what He was doing, placing that beautiful child in your home. You are the perfect parents and what joy you all bring each other.